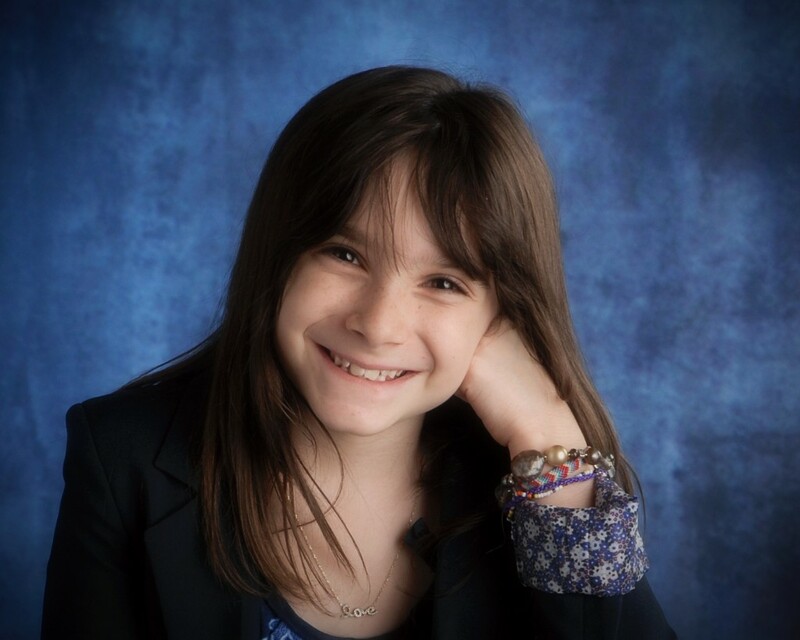 Hannah Alper is a 10-year-old blogger with a resume that would make recent journalism grads jealous. She earned a press pass for the 2013 Juno Awards, where she worked backstage as their official blogger. The reach of her environmental blog, callmehannah.ca, has landed her in the hot seat as interviewee with the likes of CBC Television's George Stroumboulopoulos. Craig and Marc Kielburger, founders of Free The Children and Me to We, check in with some of their favourite actors, authors, singers and activists to find out how they are changing the world. Hannah Alper is a 10-year-old blogger with a resume that would make recent journalism grads jealous. She earned a press pass for the 2013 Juno Awards, where she worked backstage as their official eco-blogger. She's interviewed CBC Radio host Jian Ghomeshi, and eco-icon Severn Cullis-Suzuki, among others. The reach of her environmental blog, callmehannah.ca has landed her in the hot seat as interviewee with the likes of CBC Television's George Stroumboulopoulos. But Hannah would rather be the one asking questions. "I prefer interviewing other people because I can learn from them," she told us recently. Funny, Larry King said much the same thing when we interviewed him: "I never learn anything while I am talking," he explained. King came to that conclusion after 50,000 interviews; Hannah is wise beyond her years. It's amazing what you can do with a basic understanding of WordPress. At a Digital Family Summit, where Hannah "discovered her passion" for writing, she launched her blog, in July of 2012. We first met Hannah for an interview backstage at We Day (she asked the questions), and again later after she led two Toronto-area schools in their coin drive to collect 97,500 pennies for Free The Children's We Create Change campaign to support clean water programming overseas. When Hannah is out of the spotlight, she's at home, brewing organic cleaners or building a system of recycling bins with her family in their garage. We caught up with Hannah (and mom Candace) to talk about her heroes, the world's biggest problems, and the "amazing" cleaning properties of vinegar. Hannah Alper is a Changemaker. What advice would you give kids your age who want to make a difference? Follow your passion. If you love nature or the environment, maybe write about the environment. If you want poverty to stop, write a blog about that. You have to go out and do something. You have to put your mind to it and do it. Don't wait for somebody else to do it: You do it. You don't have to be a scientist like David Suzuki to change the world. Why do you think people respond so well to your blog? I think because I'm a kid it makes a bigger impact. Usually it's adults that do this kind of stuff. Kids with blogs [usually write] about entertainment. I think people are thinking: "I wonder what this kid has to share?" What are the most important lessons you've learned in your year of blogging? Your voice is powerful if you use it. When you start something, you have to finish it. There's no such thing as too young, or too...anything to do something. I think my slogan is: Little things add up to make a big difference in the world. Which is your favourite blog post so far? Eco-friendly cleaning supplies. I have many reasons for that. They are awesome. The ingredients are pretty much water, vinegar, baking soda and that's it. And it's so cheap. You can make it simple and you can make it in no time. It's easy. They work amazing. It's also my favourite because I was inspired to do these by Marc because when he was in Grade 7, he was doing a science project for school and he noticed that his cleaning supplies when he was doing chores, they were toxic. He thought: 'Why would people do this if it's bad for your health?' So he made eco-cleaning supplies. What do you think is the biggest issue facing the world today? That's definitely hard but I think that I would say poverty. It's connected to the five pillars [of Free The Children's Adopt a Village development model]: education, health, food security, clean water and sanitation, and alternative income. With poverty -- just to connect with clean water -- girls have to walk miles and miles to get water and that would stop girls from going to school. So it's a cycle. If you could have a socially conscious superpower and change one thing about the world, what would it be? Clean water. Whenever I snap my fingers, my clothes would turn blue and anything could turn to clean water. It's good because, like I said, the girls have to walk miles and miles, but there would be clean water right in front of them. [My cape] would say "Clean water girls." Who is the most inspiring person you've met so far? Good question, I've met so many. But if I had to pick my most inspiring, I'd pick Spencer West. He taught me to redefine your possible, that there's no can't, no won't, only how. And if there's an obstacle just make your way around it. You can find a solution to anything. With his best friends, Alex Meers and David Johnson, he's worked on so many projects. They climbed [Mount] Kilimanjaro [to raise money for Free The Children's clean water programming] and they really supported each other. When I met Spencer at We Day, he was so nice. I told him that he was so inspiring. He said: "It's mutual."